Chyawanprash Filling Machine – Chyawanprash is something related to our immune system. Hence while the filling process is executed, the proper standard of quality needs to be maintained in terms of health and hygiene. 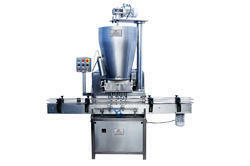 we are manufacturer of CHYAWANPRASH FILLING MACHINE. 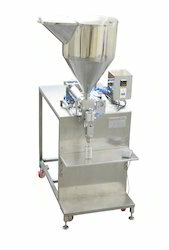 Chyawanprash filling machine is a very suitable for for filling of thick, non-flowing and highly viscous material. It is accurate in filling iin terms of weight and is operationally convinient and easy to maintain machine.